The Centers for Disease Control and Prevention plans to update the public as cases of pregnant women who may have the Zika virus rise. 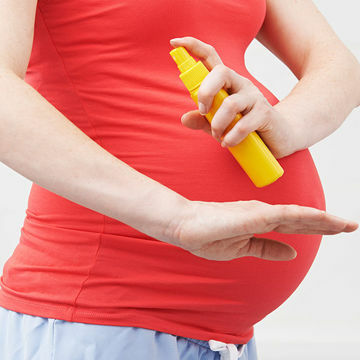 In order to give Americans a more complete picture of how big a threat the Zika virus is, especially during pregnancy, the U.S. Government has begun reporting the total number of potential cases involving pregnant women with the infection. The Centers for Disease Control and Prevention began monitoring 157 pregnant women in the U.S. and 122 pregnant women in U.S. territories as of May 12. Each of these women—there are 279 in total—has shown some lab evidence that indicates the possibility that they may have Zika. They didn't all experience symptoms, but these numbers indicate a group of people who need to be monitored throughout their pregnancies so that poor outcomes linked to Zika (like microcephaly, a disorder that causes a baby to be born with an abnormally small head) may be controlled. Up until now, the CDC had only been reporting cases in which the infected individuals tested positive for the virus and experienced symptoms of Zika or pregnancy complications linked to the virus—but mothers who have tested positive for Zika yet not had any of the infection's side effects (think nausea, fever) have still given birth to babies with microcephaly or other birth defects. "At this time there's relatively few adverse birth outcomes," the CDC’s Margaret Honein, Ph.D., M.P.H., chief of the birth defects branch at the National Center on Birth Defects and Developmental Disabilities, said in a press briefing. "Among those pregnancies with lab evidence of Zika virus infection that are being monitored by these two surveillance systems, CDC is aware of less than a dozen adverse outcomes." These adverse outcomes include miscarriages and birth defects. There have been no reported cases of women contracting Zika by mosquito from within the continental United States; most of the cases come from women who have travelled to a Zika-infected territory, with few cases seeming to occur by sexual transmission, according to the CDC. "We know of a relatively small number of cases in pregnant women that are definitively resulted from sexual transmission," said Honein. "But in so many cases where someone has traveled to an area of ongoing Zika virus transmission via mosquitos we can't definitively separate the method of transmission for those women." The CDC hopes to protect pregnant women with this new initiative. By reporting all possible cases of Zika, the CDC just might help doctors advise patients, health services develop a plan to minimize the virus and pregnant women understand their risks.